The academic dress of Durham University has many similarities with that of other older British universities such as Oxford and Cambridge. Most colleges of Durham University insist on gowns being worn on formal occasions, including matriculation and formal halls (dinners); exceptions are Van Mildert, St Cuthbert's Society (selected dinners only), Collingwood, Stephenson, St Aidans, and The College of St Hild and St Bede (matriculation only). Some colleges also insist on their being worn to Junior Common Room meetings, and they are often seen in college chapels. 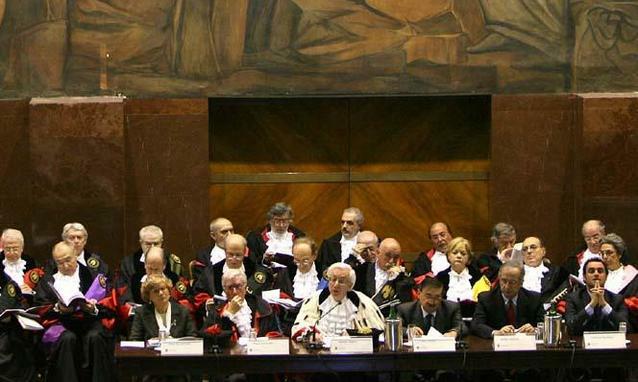 At formal halls, only gowns are worn and doctors normally wear their undress gowns; for more ceremonial occasions full-dress gowns and hoods are worn by graduates. Until 1990, the General Regulations of University 'recommended' the wearing of gowns by members of the University when attending divine service at the Cathedral – but this is now left to individual choice apart from at certain services (such as the Founders and Benefactors service). Gowns are also customarily worn to meetings of the university Senate by members of that body. 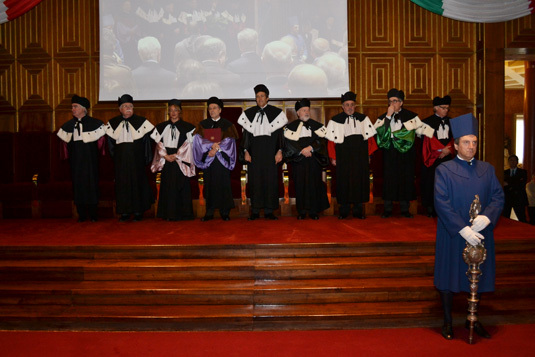 Regulations on the wearing of undergraduate gowns in college are technically set by the colleges themselves, but in many colleges the regulations are decided by the JCRs. Note that as some colleges do not wear undergraduate gowns, it is entirely possible to pass through an undergraduate degree at Durham, graduate in absentia, and never have to wear a gown. Alternatively, by attending a college with frequent formals (twice a week at Castle, Chad's and Hatfield) and attending evensong at the cathedral regularly, it is possible to spend a fair proportion of one's time whilst attending the university in a gown. 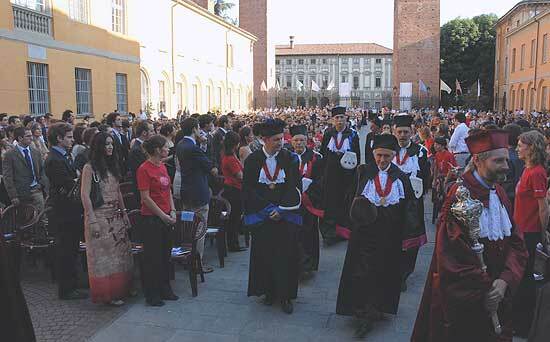 Regulations on academic dress can be found in the University Calendar. Academic dress of Imperial College London describes the robes, gowns, and hoods worn by graduates and associates of Imperial College London. After gaining its independence from the University of London in 2007, graduates began wearing Imperial academic dress in 2008. The unifying colour for Imperial's academic dress is purple after the work by William Henry Perkin . Academic dress of King's College London describes the robes, gowns, and hoods worn by undergraduates, graduates and associates of King's College London. After being vested the power to award its own degrees from the University of London in 2006, graduates began wearing King's College London academic dress in 2008. 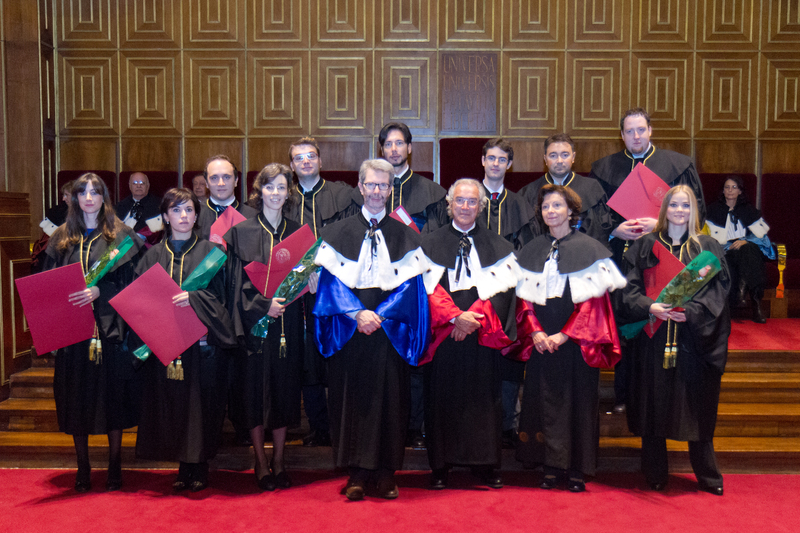 The academic dress of McGill University describes the caps, gowns and hoods which are prescribed by the university for its degree candidates/holders. Until the mid-20th century, McGill also prescribed academic dress for its matriculating or enrolled students as well as its faculty. Founded in 1821, McGill University is consistently ranked as one of Canada's preeminent universities, and among the top 20 universities in the world. for the Bachelors and Masters degrees. Melbourne follows the style of Cambridge. and no binding for masters. The faculty or degree colours are specified in the University Regulations. — however the distinction no longer exists. and Masters an Oxford Masters gown. but the sleeves must not be split. and a bonnet with a scarlet cord. of the faculty/degree, and a bonnet with a gold cord. The academic dress of the Royal Melbourne Institute of Technology (RMIT) are the robes, gowns and hoods prescribed by the Australian university for the administration, faculty, graduates, postgraduates and undergraduates of its Australian (RMIT University) and Vietnamese (RMIT University Vietnam) branches. The academic dress of RMIT is described as similar to that of the University of Oxford in the United Kingdom. The current statute of academic dress was approved by the RMIT Council in 1980. The University of Cambridge has a long tradition of academic dress, which it traditionally refers to as academical dress. 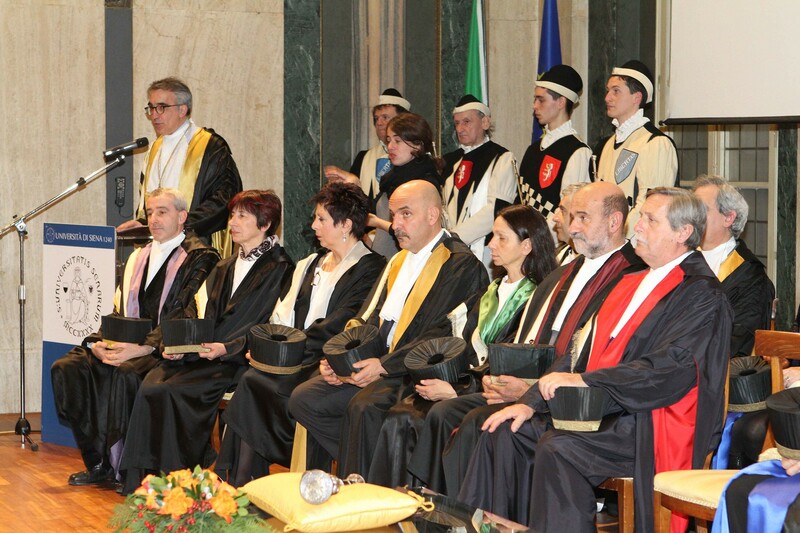 Almost every degree which is awarded by the university has its own distinct gown in addition to having its own hood. Undergraduates wear college gowns which have subtle differences enabling the wearer's college to be determined. Academic dress is worn quite often in Cambridge on formal, and sometimes informal, occasions, and there are a number of rules and customs governing when and how it is worn. 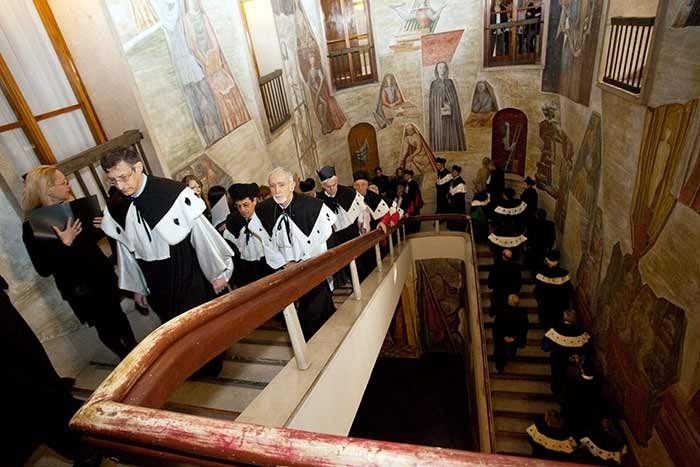 Black gowns (undress) are worn at less formal events, while on special days (such as the days of General Admission to Degrees) full academical dress is worn, consisting of gown, hood and headdress with Doctors in festal dress. 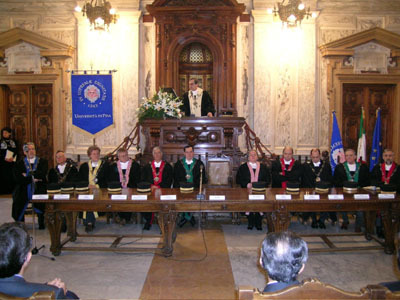 The university's officials also have ancient forms of academic dress, unique to the university. Academic dress prescribed at the University of Dublin and its sole constituent college, Trinity College, follows a relatively complex protocol which, nonetheless, shares some particular characteristics with other universities in Ireland and with the University of Oxford in the United Kingdom. Academic dress at the University of Edinburgh is compulsory at official ceremonial occasions, such as graduation and the installations of Rector and Chancellor, and otherwise optional, usually only worn for events. 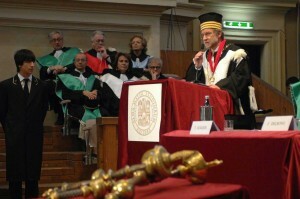 Academic dress of the University of London describes the robes, gowns and hoods which are prescribed by the university for its graduates and undergraduates. Academic dress of the University of Manchester describes the gowns, hoods and headwear which are prescribed by the university for its graduates and officers. The academic and official dress of the University of Warwick dates originally from the mid-1960s, shortly after the university's foundation. Despite persistent offers from Charles Franklyn (and a single, more moderate letter from George Shaw) the theatrical costume designer Anthony Powell was commissioned to design robes for officials and graduates of the university. Due to pressure of other work, and some apparent differences of opinion, Powell withdrew from the project, and the robes for graduates subsequently designed in consultation with J. Wippell and Company of Exeter, with Ede and Ravenscroft designing and making the robes for officials.The official academic dress for officers and members of the University of Warwick is as follows. As the oldest college in the United States, Harvard University has a long tradition of academic dress. Harvard gown facings bear crow's-feet emblems near the yoke, a symbol unique to Harvard, made from flat braid in colours distinctive of the wearer's qualification or degree. Crow's-feet are double for earned degrees, and triple for honorary degrees. The square academic cap, graduate cap, cap, mortarboard (because of its similarity in appearance to the mortarboard used by brickmasons to hold mortar) or Oxford cap, is an item of academic dress consisting of a horizontal square board fixed upon a skull-cap, with a tassel attached to the centre. In the UK and the US, it is commonly referred to informally in conjunction with an academic gown, as a "cap and gown". It is also sometimes termed a square, trencher, or corner-cap. The adjective academical is also used.The cap, together with the gown and sometimes a hood, now form the customary uniform of a university graduate in many parts of the world, following a British model.